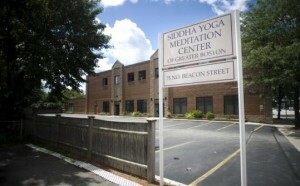 The Siddha Yoga Meditation Center in Greater Boston Watertown welcomes for all. The Siddha Yoga path is one of inner transformation enlivened by the grace of a living Siddha master, Gurumayi Chidvilasananda. The tradition is rooted in India’s ancient texts, scriptures, and the wisdom of its sages and spiritual masters. Through the practices of meditation, chanting, selfless service, and contemplation, we seek to uncover the true purpose of our lives, to experience our own divinity, to know God. The Siddha Yoga Meditation Center in Greater Boston is a place for people to come together and engage in these practices. A Shidda Guru a spiritual teacher, a master whoes identification with the supreme self is uninterruped. The unique and rare quality of a Shidda Guru is his or her capacity to awaken the spritual energy, kundalini, in seekers through shaktipat. Gurumayi Chidvilasananda is Siddha guru who walked the path of yoga under the guidience of her guru, Swami Muktananda.Gurumayi recived the power and authority of the Shiddha Yoga lineage from Swami Muktananda before he passed away in 1982. Kundalini (Sanskrit kuṇḍalinī, About this sound pronunciation (help·info)) stems from yogic philosophy as a form of shakti or “corporeal energy”. Kundalini is described within Eastern religious, or spiritual tradition as an indwelling spiritual energy that can be awakened in order to purify the subtle system and ultimately to bestow the state of Yoga, or divine union upon the seeker of truth “. The Yoga Upanishads describe Kundalini as lying “coiled” at the base of the spine, represented as either a goddess or sleeping serpent waiting to be awakened. 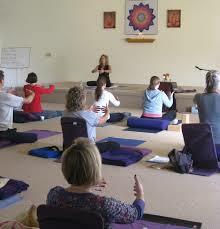 In modern commentaries, Kundalini has been called an unconscious, instinctive or libidinal force. It is reported that Kundalini awakening results in deep meditation, enlightenment and bliss.This awakening involves the Kundalini physically moving up the central channel to reside within the Sahasrara Chakra at the top of the head. This movement of Kundalini is felt by the presence of a cool or, in the case of imbalance, a warm breeze across the palms of the hands or the soles of the feet.Many systems of yoga focus on the awakening of Kundalini through meditation, pranayama breathing, the practice of asana and chanting of mantras. In physical terms, one commonly reports the Kundalini experience to be a feeling of electric current running along the spine.